Nadia is a mother of a perpetually running, jumping and scooting toddler. Sporty as a child herself, she used to run track, play netball and badminton and tried to maintain this through her working life by running or going to the gym during lunch or after work. She exercised through her pregnancy because it made her feel good and that’s when she realised there was a dearth of pre and post-natal or mummy exercise groups. 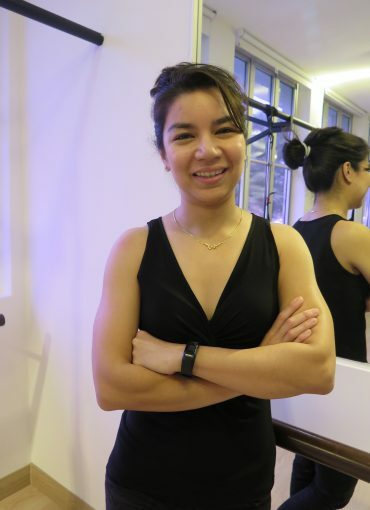 So, she embarked on her professional fitness journey once her son was born and she is now a FITM and ACE-certified Personal Trainer (her law background and skills helped her tremendously in acing her exams!) with a specialty in Pre and Post-natal fitness. She’s a dog person, loves scubadiving, boarding and anything to do with the ocean! Although she loves food, her motto is “everything in moderation”. Finally, she believes she’s gotten stronger and faster POST-pregnancy as the woman’s body is capable of the most amazing things.